This stamp is one of a set of three celebrating the traditional masks of the region. 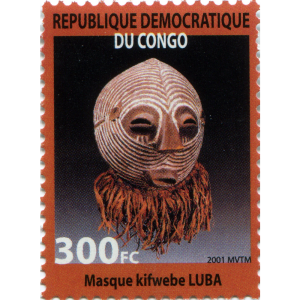 This stamp depicts a mask from the Luba ethnic group. The Luba are closely related to the Songye people. 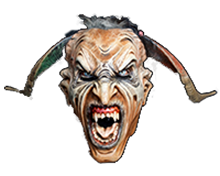 This specific mask is a kifwebe, used in adult initiation rituals and to purify the village of sorcery.